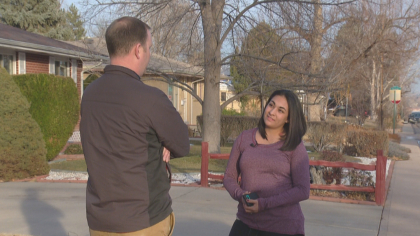 FRISCO, Colo. (CBS4)– Colorado Parks and Wildlife Managers are saying what a tourist did in Frisco on Thursday isn’t just dangerous– it’s illegal. 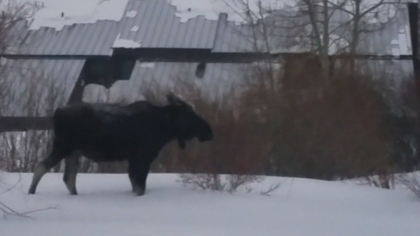 A video posted online shows a man sneaking close to a moose. 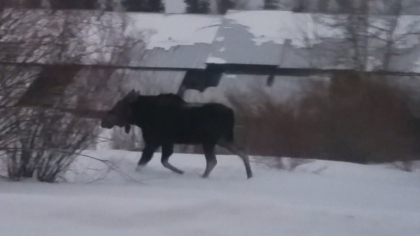 Eventually the moose charged the man before becoming scared and turning away. “We want to keep wildlife wild,” said Duncan. Moose have been known to attack humans in Colorado’s High Country. Wolves are a natural predator for moose, so usually humans attacked are walking with dogs. 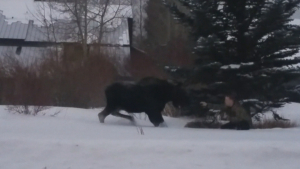 Wildlife managers say the man in the video isn’t just lucky he didn’t get injured, but if the moose would have attacked him, they would have had to put the moose down because of its aggression. “Give wildlife their space. It’s dangerous for the animal and the person,” Duncan said. Anyone who witness this kind of behavior should call their local CPW office and report what they’ve seen. Residents in the Frisco area who may have witnessed this incident should call the Hot Sulphur Springs office at 970-725-6200. 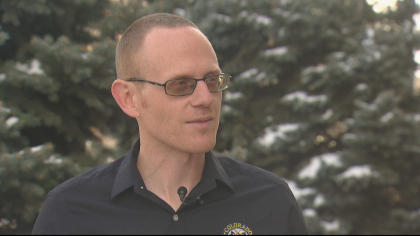 Jeff Todd joined the CBS4 team in 2011 covering the Western Slope in the Mountain Newsroom. Since 2015 he’s been working across the Front Range in the Denver Headquarters. Follow him on Twitter @CBS4Jeff.